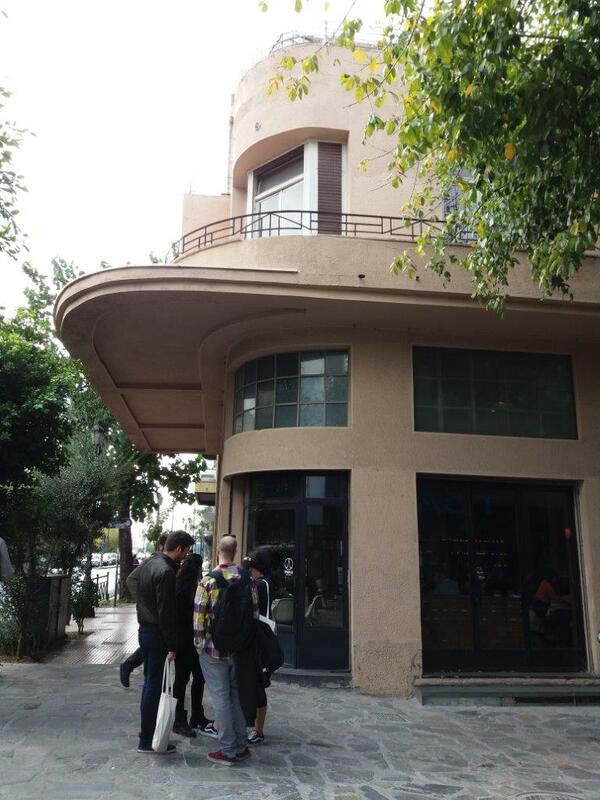 One of my favorite buildings in the center of Athens is the one that houses the Bios bar right on busy Pireos Street. The building itself is an architectural experience, making it so much more than just a bar. As one might notice there are obvious Bauhaus influences that can be seen from the rounded-out balconies and the simplicity that the building effortlessly displays. This exterior simplicity is enhanced by an elegant and functional interior, the floors are decorated with specks of colored marble that greets you at the building’s entrance. The wide twisting staircase leads to the building’s other floors including the open-air terrace at the top of the building with an unobstructed view of the acropolis. The staircase is stylish yet seems to maintain its basic function, that of carrying you up and down the three story building. The view from the balcony on the first floor is that of a well-maintained neoclassical house exactly across the street and is one of only a few that are this well kept and can be found in the wider neighborhood towards Monastiraki square. 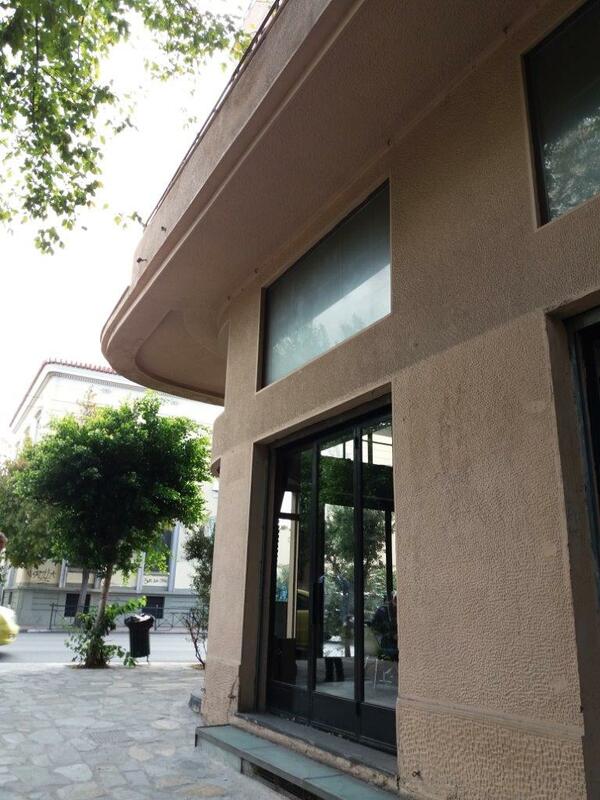 The building’s spaciousness and versatility also lends itself for various events along with the small theatrical stage / auditorium on the ground floor behind the main bar that occasionally houses local plays and events.